This Holy Hour has been taken from the manual of devotions entitled "Let us Pray" by Blessed Elena Guerra. It was later tranlated into English by Silvio DeLuca C.P. and printed in "The Sign", Vol 8, December 1928. The webmaster would like to thank the Passionist Archives of Union City, New Jersey for kindly providing a copy of this article. "This evening at last, after six days of absence of Jesus, since it was Thursday, I began my hour of prayer, thinking of Jesus on the Cross. Then it hap­pened. I found myself with Him suffering and I felt a great desire to suffer and asked Jesus to give me this grace. 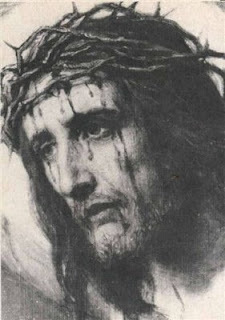 He granted it; He approached me, took from His head the crown of thorns and placed it upon mine, and then went aside. I looked at Him silently for I was think­ing; Perhaps He did not love me any more, because He had not pressed the crown down hard upon my head as He had done at other times. Jesus understood and pressed it upon my temples. They were painful but happy moments. I then spent an hour with Jesus. I should have liked to continue with Him thus all night, but Jesus loves obedience very much; He Himself always submits to obedience, so when the hour was up He left me. Generally Jesus took the crown off when He was leaving; this time, however, He left it until about four o'clock the following afternoon." This Holy Hour has been taken from the manual of devotions entitled "Let us Pray" by Blessed Elena Guerra, foundress of the Oblate Sisters of the Holy Spirit in Lucca (also known as the Sisters of Saint Zita (Zitine Sisters). It was also published under the title "An hour of prayer with Jesus agonizing in Gethsemane". Gemma had been a student in the school that was founded by Blessed Elena, and Bl. Elena was at one time one of Gemma's teachers, and because of their association at school and also since they both lived in Lucca all their lives, St Gemma and Bl. Elena knew each other very well. And what is a miraculous sign of God's holy Providence and love for His servants, both Gemma and Elena DIED ON THE SAME DATE- APRIL 11- (Gemma in 1903 and Elena in 1914) AND WHAT IS EVEN MORE MIRACULOUS AND PROVIDENTIAL IS THAT BOTH GEMMA AND ELENA DIED NOT ONLY ON APRIL 11TH, BUT BOTH DIED ON A YEAR WHERE HOLY SATURDAY FELL ON THE DATE OF APRIL 11TH -EXACTLY 11 ELEVEN YEARS APART AND ON THE FEAST OF HOLY SATURDAY! 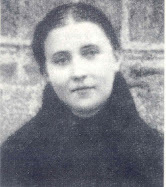 -More about the miraculous and Providential timing of the deaths of St Gemma and Bl. Elena here. By the Providence of God, she made the Holy Hour for the first time on Holy Thursday, March 30, 1899, and to prepare well for it she first made a general Confession of her whole life. This shows us the idea and importance she had of the Holy Hour. The object of this pious exercise consists in making a full hour's prayer having for its meditation the agony of our Lord Jesus Christ in the Garden of Gethsemane; and it can be done at anytime, but most especially it is suited for Thursday evenings. Place yourself, oh devout Soul, in the presence your most beloved Savior and bring to mind the night in which Jesus, having instituted the Holy Eucharist to be your food, leaves the Cenacle with His Apostles to go to the Garden of Olives, there to begin that most crude Passion by which He was to save the world. A deathly sadness shows itself on the brow and reveals itself in the words of the afflicted Jesus. A deathly pallor clouds that Face on which but now had shone a Heavenly beauty. Meanwhile the sorrowful Savior rests His gaze upon you, as though He would say to you: "Dear Soul, who are the cause of so much anguish to Me, stay with Me but for an hour, and see if there be any sorrow like unto My sorrow"..... But know that on the night of My agony I sought in vain for one to console Me. "I looked for one who would comfort Me and I found none." Oh adorable Jesus, can there ever be a creature so ungrateful, and so hard of heart, as to refuse to pass an hour in Your company, remembering those myster­ies of supreme pain and supreme love accomplished in the obscurity of the night of Your Passion, in the Garden of Gethsemane? Oh good Jesus, behold me present before You. Deign to reveal to me the great­ness of Your pains and the excess of love which caused You to become a victim for my sins and for the sins of all men. "My soul is sorrowful even unto death!" There is truly no greater suffering than that which can be compared to the pains of death. Now our Savior, Who is infalli­ble Truth, to make us understand the excess of suffer­ing which came to oppress Him as He entered Gethsemane, says that His soul is weighed down by a mortal sadness: that the anguish which He endures is so severe as could cause His death “My soul is sorrowful, even unto death!”. And having said this He enters further into the Garden, till, reaching the place where He was accustomed to pass the night in prayer, He exhorts His faithful Apostles (whom He had brought with Him even into the Garden that they might be witnesses to His sufferings) to watch and pray with Him. Then, withdrawing from them a stone's throw, He knelt down to begin the most painful and at the same time most generous prayer ever made upon earth. The first motive for the sorrow of Jesus was that hor­rible accumulation of outrage and opprobrium which in a short time was to rush in upon Him like the furious billows of a tempest-tossed sea. In fact, He had hard­ly left His beloved Apostles when there appeared before His mind all the frightful scenes of pain and blood of His impending Passion - the betrayal by one of his apostles, dishon­or, scorn, calumnies ... moreover a scourging so cruel as to lay bare His very bones. But this is not enough. 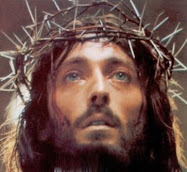 His Sacred Head must be tormented by a crown of thorns, which is to remain fastened thereon even till death. Furthermore, blows, spittle, mockeries. Still this is not enough. He must bear the infamy of a legal condemnation, and see Himself abhorred by the great ones of His nation and by His own people. Dying then, because of so much suffering, He must drag Himself to the mount of sacrifice, with the cross on his lacerated shoulders, falling several times half­dead beneath its enormous weight. He must drink the bitter gall. Be stripped in the midst of an insolent multitude. Allow Himself to be nailed hand and foot. Hang for three long hours from those iron nails, and remain there, suspended between Heaven and earth, to expiate by unspeakable pains the iniquities of the human race! Yet this is not enough. To these frightful pangs must be added the most bitter mockery, the most cutting insults and taunts. Then the burning thirst, rendered more tormenting by the vinegar. The abandonment by His Father. The immense grief of His beloved Mother. 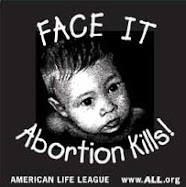 The terrible and desolate death! Redeemed Soul, purchased by the cruel pains of Jesus, consider your Savior overwhelmed in an abyss of suffering ... and this for love of you ... to save you ... to bring you with Him to paradise! Already a long hour of anguish has passed for Jesus amid the darkness of the night and in the abandon­ment by His beloved disciples. The vivid apprehen­sion of the cruel outrages awaiting Him has spread ter­ror and fear into His blessed soul. He now feels far more keenly the enormous weight of His mission as Savior of the world. He sees that the time of His immolation has come ... Heaven, earth and hell are already armed against Him. He must sustain a great battle, in which all blows will be hurled against Him alone. What does Jesus do? Pallid, trembling, He turns to His Father and humbly exclaims: "Father, if it be pos­sible, let this chalice pass from Me." What response will the humble prayer of the Son of God receive? Heaven is shut...there is no answer! He wishes to endure even this pain to obtain for us humble perseverance in prayer, and constant patience although Heaven seems closed to our supplications. Ah, good Jesus! there is no suffering which You have not undergone for our comfort and example. "The wicked have wrought upon My back!" Oh, how greatly oppressed is the dear Savior under the weight of so many sins!" But surely the Divine Lamb Who is about to immolate Himself to Divine Justice so often offended by men, after having satisfied for human iniquity in sacrificing His precious life upon a gibbet to take away the sins of the world, can He not at least hope that men acknowledging so great a benefit, will banish sin forever and remain always faithful to Him Who suffered so much to save them from eternal death? Ah, poor Jesus, would that it were thus! But instead ... a picture more horrible than the preceding opens before His mind. He sees that even after having redeemed mankind by so much suffering and having washed the earth with His Blood: even after having infused the Divine Spirit into His faithful, and made the earth a Paradise of Grace through the Eucharist: ah! even after so many excesses of charity, He still sees sin holding sway in the world. He sees His holy law trampled underfoot, His Church and ministers persecuted, His grace neglected, His love despised ... and weepingly He says: "What profit is there in My Blood? Why pour out all My Blood? Why die amid the agonies of a gibbet, if men, ungrateful for so many benefits, will afterwards give themselves over to the power of the demon and to eternal perdi­tion? When will the sway of sin end in the world?" And the good Jesus casting His glance upon all the ages to come, beholds sin in all the centuries to follow, in each succeeding year, every day, and at each moment! And the weight of these sins heavily oppress Him, and make Him repeat: "The wicked have wrought upon my back; they have lengthened their iniquity!" My soul, will you still be among those who length­ening this chain of sin and, repeatedly putting off their promised conversion, wrench from the Heart of Jesus that cry so full of righteous sorrow? Oh, how horrible is sin after a God has shed His Blood to destroy it! Oh how horrible is sin in a soul already cleansed by that divine Blood! ....in souls united to the Heart of Jesus by Holy Communion! Oh most afflicted Savior, with great reason do You lament and weep! Contemplate, Oh redeemed Soul, how your Savior, His Heart transpierced by man's ingratitude, falls prostrate in agony upon the ground. He is alone, abandoned, with no one to aid Him, Who has not refused to extend His hand to the weak and the afflicted, and even to make a resting place of His Breast for His Apostle, who, tired, laid his head upon it! Rise up, faithful soul, the moment has come in which to make Jesus suffering a return of love. What would you have done if on the night of the Passion you had found yourself in Gethsemane close to the agonizing Jesus? I love You, I love You, I love You! I wish to see love for You, to obtain love for You, to have all love You. I wish to consume life itself to have You loved, loved greatly, loved always, loved by all Your redeemed. My sweet Jesus, I have said that I would spend even life itself to have You loved; to make sacrifice for this, no matter how great; yet when I meet some slight contradiction, some small humiliation, a refusal, a reproof an unkindness ... do I bear it? Do I really love sacrifice? ... do I rejoice in being able to offer You the mortification of passion? ... Good Jesus, I am ashamed to answer ... But here close to You; here at the school of suffering and love, I wish to learn, my sweet Master, to mortify and sacrifice myself in all things and for love of You. Meanwhile the hours of His mortal agony pass slowly for Jesus ... He, the God of Heaven and earth, languishes prostrate upon the ground, and no one is mindful of Him. But what are the disciples doing? They sleep!...Ah, Jesus on the night of His Passion had to undergo even this pain of desertion of His dear ones; and He felt in His Heart the whole bitterness of it! That sorrow He then accepted, even desired it; but now He does not wish it any longer; rather He wants His redeemed to hold vigil around Him, meditating on His Passion. But instead the greater part sleep the sleep of the ungrateful, which consists in the forgetfulness of Him Who loves and benefits us. Oh, what an excess of ingratitude and hard-heartedness! Oh good Jesus, You are not known; for if we but knew You, we would always think of You, and our hearts would not beat except for You. While Jesus is grieving alone and prostrate upon the ground, behold an Angel of Heaven comes to comfort Him. With the humility of an obedient son, Jesus receives His Father's messenger, ready to submit to His Commands. The Angel has come to strengthen Him, but not to console Him, nor to lighten His pains, nor to take from His hands the bitter chalice. Indeed He encourages Jesus to bear up under the battle He is to wage, and to receive bravely the blows which Heaven, the world, and hell will hurl at Him; Heaven because the eternal Justice of the Father was about to punish in Him all the iniquity of men; the world, which unable to endure the holiness of the Son of God, was preparing a Cross for Him; and hell, which through hatred of the Saint of Saints, excites the enemies of Jesus Christ to greater cruelty, and more spiteful outrage. Wherefore the Angel exhorts Him to drink to the very dregs the abominable chalice of human iniquity, to become, as it were, cursed for us, to bear the whole weight of Divine Vengeance. Meanwhile Justice and Mercy await the fiat of Jesus, in which they will be reconciled forever. Heaven awaits it, that it might be peopled by holy men; the earth awaits it, yearning to see the malediction merited by its first sin blotted out by the Precious Blood of the Divine Redeemer; the just imprisoned in the bosom of Abraham, await it, that they might again become the children of God and see the gates of Heaven reopened to them. But how greatly does this fiat cost Jesus. He, the most innocent, He, the Holy and Immaculate One - must put on the loathsome garb of the sinner, of the wicked: He must appear as the guilty one, and make our iniquities His own. Immeasurable is the anguish this causes Him, and makes Him repeat: "Let this Chalice pass from Me!" But at the same time He sees that we are lost if He does not take the guilt of our offenses upon Himself, if He does not consent to the scourges of the punisher, and wash away our iniquities in His Blood ... Therefore with a most generous burst of heroic love, Jesus pronounces His sublime fiat. My Jesus has now uttered His great fiat! But the effort causes Him to fall again upon the earth, crushed beneath the enormous weight with which He had burdened Himself. Oppressed on the one hand by the divine Justice, which considers Him as universal victim upon whom are to be united all sin and its punishment; and on the other hand by His infinite desire to fulfill His divine mission as Redeemer of the world, which latter is preparing for Him that baptism of blood so greatly desired by Him. Ah! in truth, the good Jesus can now be considered as choice wheat ground between two millstones, and as sweet grapes trodden in the wine-press! Indeed, such is the intense agony which oppresses His Heart that He begins to sweat Blood from all His members; and this so copiously, that it trickles down to the ground! Oh, how much has that great fiat cost Jesus! Oh, how much He has had to suffer in order to become debtor for our sins! And what shame for me who refuse to make even the least sacrifice, while I see my God freely become victim for love of me. "He was offered because it was His own will." But why, sweet Jesus, why torture Yourself thus with infinite pain, You Who with one sole prayer, with one sigh, with one beat of Your Heart, could have saved the world? But a prophet had already said that the redemption of Jesus would be a copious redemp­tion. And truly it is a copious redemption which He has wrought, for by it we are moreover restored to the honor enjoyed by the innocent, the just and the saints! Only a God could have accomplished so great a work! But Jesus is not yet satisfied; in His incomprehensi­ble love He wishes that by means of His sufferings there be placed in our hands as some thing absolute­ly ours, the rich treasures of His merits, that by them we might obtain every good from the most High. What more could be desired? Yet there are gifts so great that man could not have dared to ask for them, nor even thought of being able to acquire them. But the infinite charity of our Blessed Savior thinks of them, and with the voice of His Blood, and the sighs of His afflicted Heart He obtains for us from His Father the supreme grace of being raised up even to the Embrace of the Divinity, by means of the Eucharist which He had that same night instituted. And as if this is not enough to satisfy a charity which knows no lim­its, He wishes that His Spirit, the Divine Paraclete, be infused and remain permanently in our souls. "I shall ask the Father," He had said that same night to His Apostles, "I shall ask the Father, and He shall send you the Holy Spirit." And now here in Gethsemane, suf­fering and dripping Blood, He fulfills such a promise meriting for us the infusion of the Divine Paraclete, and thus elevating man to the highest degree of happi­ness, grace and glory. Jesus can now do no more for us; yet there remains to Him one more desire. He remembers that His Father has said to Him: "Ask of Me, and I will give You the nations as Your inheritance;" and raising His bloodstained Face to Heaven, He asks that among those nations promised to Him as His inheritance, He might have chosen bands of espoused souls who will be the beloved of His Heart, faithful disciples follow­ing His example, and upon whom He can pour forth the abundance of those graces merited by Him with so much pain. "Give Me souls, give Me souls, oh Father, and all else will I give You, even My life which will be consummated on the cross for them. Give Me souls." And among all these souls Jesus also chooses yours; desires it, wants it, asks it of His Father with tears, and for it in particular renews the offering of Himself and all His boundless sufferings. My soul, my soul, how greatly are you loved by that God, Who sweating blood, chose you, desired you, embraced you as spouse! And even as in a little while Jesus, from the height of the cross, will say to His Mother, "Behold your son," and in the person of John will consign to her all the redeemed, so in Gethsemane He turns to His Father and says: "Behold Your children. I, Your Son by nature, hold the place of sinful man, that the sinner might take My place and become Your child by grace. For Me, 0 Father, sufferings; for sinners, pardon and peace; for Me death, for him life; for Me, abandonment, for him a perfect, blessed and eternal union with Thee ... Behold, behold Your children ... embrace them. My Blood renders them pure, beautiful, and worthy of You. Father, I wish (Jesus had never before said "I wish," but now He says it). I wish that the souls which You have given to Me, may be one with Us, united to Us, as I with You. Remember, oh Father, that I have abased Myself to become man, that man might be raised up even to God reigning in Your own glory for all eternity." One more glance at your Jesus, oh my Soul, oh Soul of His love and pain. The long hours of the Agony in Gethsemane have already passed to give place to a day of outrage and to the final three hours of torture on the cross. Behold Judas comes to betray Him ... and Jesus like a meek lamb, goes to meet him! Ah, my Jesus, am I to see You in the arms of a traitor? Ah, no! rather come to my embrace; even into my heart, oh good Jesus, for I no longer wish to offend You, but always to love You. 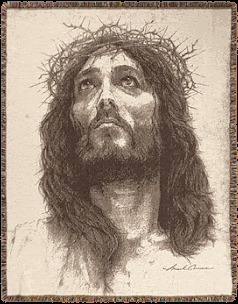 1) To stamp upon one's heart the sufferings of Jesus and to often meditate upon them. 2) To excite oneself to a generous love for Jesus and to refuse Him no sacrifice. 3) To reflect that Jesus is no longer suffering upon earth, and no longer having need of loving services, has left us the afflicted in His place; wherefore He wishes that we give to our neighbor that sympathy and aid which He (to suffer the more) renounced during His Passion, being certain that He will consider as done to Himself that which we do to our brethren, “for whatever you do to others, you do to me.” That this reflection will make charity increase within us. This "Holy Hour as Practised By Saint Gemma Galgani" can be obtained in booklet form through the St Gemma Store here. Did she make a holy hour at her home each Thursday or at church? Saint Gemma made the Holy Hour faithfully every Thursday night, between the hours of 11pm and Midnight. Since while making the Holy Hour she was often drawn into ecstacy, she would always do the Holy Hour quietly in her room, with the door shut. Close to death during her first illness (spinal meningitis), she had promised Jesus that if she was cured she would make the Holy Hour every Thursday night. As you probaly know, she was in fact cured, after making a Novena to the Sacred Heart of Jesus. According to her Biography, she kept this promise of making the Holy Hour faithfully until her death. Wow Glenn! What a great soul! I love her!!! 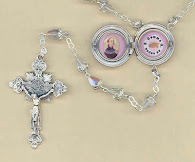 The Holy Hour used by St. Gemma is this one posted in this page? Do you know if there is a portuguese translations for it? Yes, the Holy Hour that Saint Gemma used every Thursday night is indeed the one that is published here. This Holy Hour was written by Blessed Elena Guerra, foundress of the Oblate Sisters of the Holy Spirit in Lucca (also known as the Sisters of Saint Zita). Gemma had been a student in their school and having left because of sickness, she was visited a few days before her miraculous cure by one of the Sisters of St Zita, Sister Giulia Sestina, who gave her the Holy Hour booklet, as published on this website. I have not seen it published in Portuguese thusfar. If you are knowledgable in both English and Portuguese perhaps you could volunteer to translate it? Please email me back if interested. thanks a lot for this wonderful website! I too (I saw the last comment was on this subject as well) have a question about language...namely if you know if there is a Swedish translation available? I guess not, but I still wanted to pose the question...if not, I would love to make one so that this wonderful devotion can be more known and spread also in our country! It is a pleasure to meet you. Thanks for you comment. To my knowledge this Holy Hour practised weekly by St Gemma has never been translated into Swedish. It would be wonderful if you might consider doing it. I am sure that God would guide you and also reward you for your efforts. 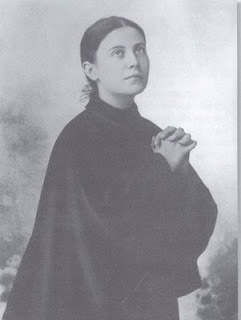 And surely St Gemma would be pleased also, given that she was so devoted to this particular Holy hour. And so, feel free to translate it if you would like and I will gratefully publish it on this website when you are finished. Feel free to contact me through email if you would like. I wanted to know what kind of permission did the Passionates give you for people to use the online version i.e. could they print off copies for parish use or for personal use or do they need to buy the booklet. I just wanted to let you know that the webaddress to get a hard copy of the booklet has changed. Thanks for the update to the new link which I just corrected. You will want to contact Passionists publications (at crossplace.com) as they can probaly give you a discount for multiple copies, although the $2.75 price for individual copies is still quite a bargain. I love this prayer, I did it last Lent. I'm a nursing student now and as such research more into medical happenings/phenomena that occur in the human body. Hematohidrosis is a condition in which the blood supply feeding the sweat glands constricts (tightens) under great mental stress, then it is believed that after the stress is removed the blood vessels dilate (widen) so greatly that they rupture. This rupture causes bleeding into the sweat glands, which then causes bleeding from out of the sweat glands onto the skin. Only people in great states of mental stress have been observed having this happen to them (intense fear of being attacked, prisoners condemned to die, etc.). Medically speaking it could be suggested that after Jesus said His Great Fiat that (as the current theory goes) He could have experienced a great mental relief, or enough to undue the constriction of the blood vessels causing them to dilate and rupture, thus sweating blood. I wasn't there (and wasn't revealed the details through prayers or a vision) and can't say what happened, and it is a rare and thus not fully explored phenomenon, but it is certainly food for thought. I think it was at least worth mentioning as He only began to sweat blood after He said to the Father that which He did...because I know saying that does take a lot of stress off me personally. Very interesting information Kate! Thanks so much for sharing it here. May St. Gemma be near you and assist you in your nurse training, and may God bless you and your loved ones.